Geotypografika » Blog Archive » Elevator going up. Above: Andy’s final poster in situ. Half-life: about four hours. Many more photographs available on our Geotypografika Flickr site. There will be many more updates in the coming days as well, as the typonauten conclude their experiments. Bon chance! a more pleasant viewing environment, especially for detail. 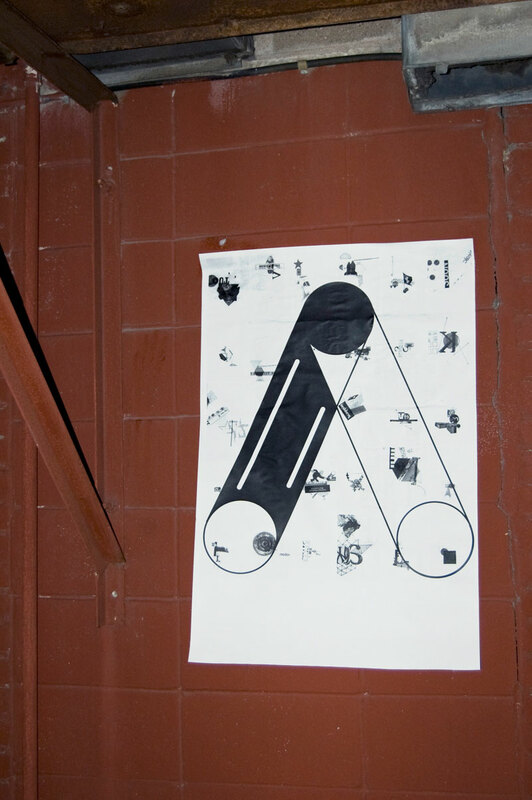 Above: Sonja’s poster from below! Above: Dylan’s at the chicken shack. Look for more posts soon. Elevator going up. 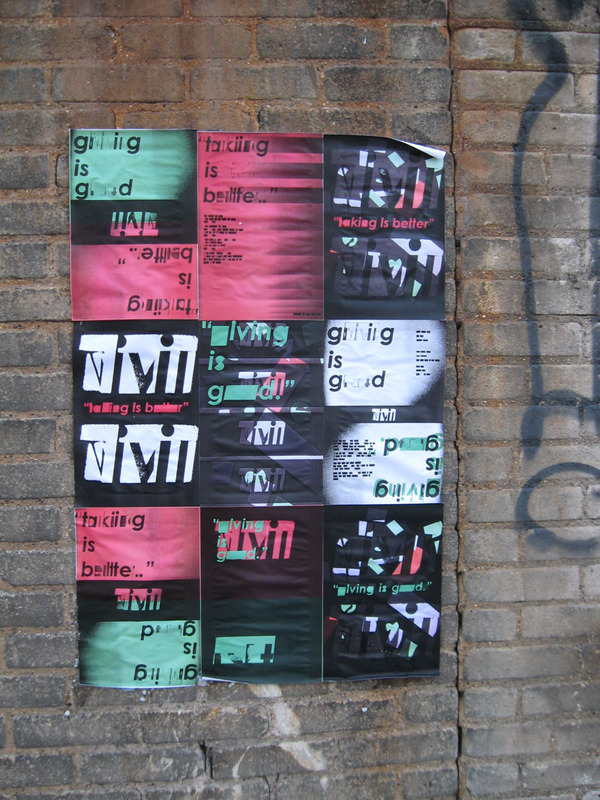 : GRD_5010 typographic fiction posters. 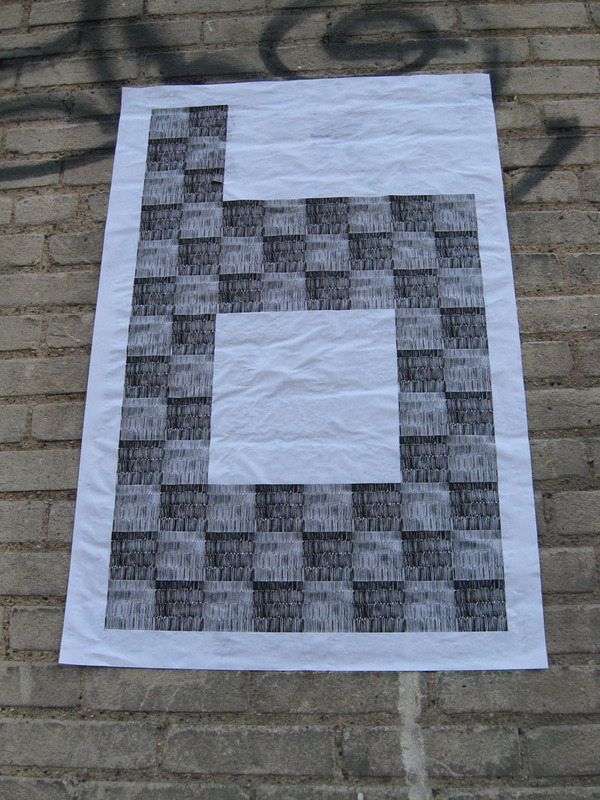 This entry was posted by Erik Brandt on Wednesday, May 6th, 2009 at 9:20 AM	and is filed under Aktuell, Education, Geotypografika, Graphic Design, MCAD, Minneapolis, Typografika, Typography.